Kährs of Sweden is the oldest wood floor manufacturer in the world still in operation, with a history that dates back to 1857. It is also the most innovative, with a history of wood floor inventions and innovations that span decades. Originally begun in 1857, Kährs Flooring of Sweden has a worldwide reputation for precision engineered parquet flooring since 1941, with a wide variety of technical flooring innovations sustaining their success subsequently. In 2000 Kährs developed Woodloc® a glue free installation mechanism built into flooring, revolutionary at the time. 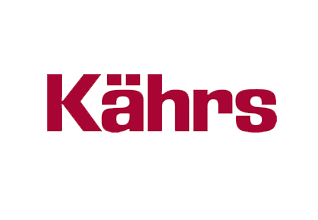 All Kährs Floors are underfloor heating compatible. Specially designed staining and surface treatments accentuate the wood’s natural beauty, whether oak, ash, beech, cherry, European maple or walnut. All Kährs floors are treated in one of three ways, either silk matte or matte finish, or with natural oil. Each of these surface treatments is applied in such a way to emphasize the natural beauty of the wood. All surface treatments at Kährs are solvent free. Brushing, smoking, beveling and staining are all technical procedures added in developing an astonishing varied range of natural modern solid wood floorings available at our Wakefield Flooring shop. Six stylish collections, Kährs Supreme, Original, Spirit, Avanti, Linnea and Activity flooring have been designed to suit traditional, urban, classic and contemporary interiors. We added the Småland range to our collection in 2015 with each wooden plank individually treated to bring out the natural beauty found in each knot, grain and texture.